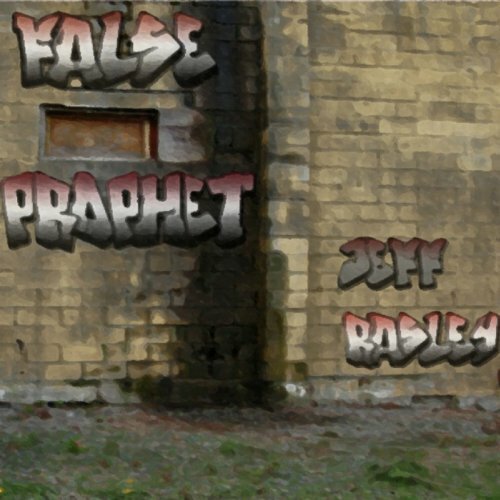 False Prophet, a Legal Thriller is a gritty insider's confession and rant against the corruption of our legal system. The author practiced law in Indianapolis for 30 years. Jack Ross loses his soul but finds redemption representing an evangelical African American preacher. Jack's downward spiral begins with his idealistic but doomed defense of his best friend and colleague. It becomes an existential crisis. His wife leaves. His partner is in alcohol rehab. Jack's struggle to reclaim his professional standing and self-respect is aided by a petty criminal and a hot young reporter. Jack sets out to right the wrongs done to his Christian-prophet client. The pursuit of justice turns up political conspiracy, real estate fraud, kidnapping, and murder. A high price is paid for the truth. False Prophet reveals the seamy underside of local politics and the legal system in Indianapolis. But it also shows how white folks and African Americans can worship and work together for justice. The love story is one of frustration and self-destruction, but ultimately understanding, reconciliation, renewed intimacy, and a baby. Jeff Rasley practiced law in Indiana and the federal courts for 30 years. The legal case in the book is inspired by one the author handled. Characters and events are fictional, but based on Rasley's experience of representing clients ranging from Fortune 500 CEOs to crooks and crack heads - the silk stocking and seamy underbelly of law practice in Indy. I can't say much that is nice about this one, so maybe I should say nothing. In a nutshell, once you have read GOOD legal thrillers, this one doesn't even come close. The lawyers you are supposed to care about are immature, sophomoric boys who still hang on to their high school football days; can't develop the emotional maturity it takes to keep a relationship going unless it is all about their "needs"; and the bad guys are one dimensional characters who come and go in every dime store novel, so it is impossible to be held in suspense about what they will do next. On top of bad writing, add really bad narration. . . and this one becomes painful. Keep looking if you want a legal thriller. This isn't it. What did you love best about False Prophet, a Legal Thriller? I listened to the Audible addition of False Prophet straight through, with just a break for a few hours sleep. I found it captivating, the story flowing easily, compelling and propelling for a conclusion. Jack Ross, whose personal story intertwined the plot, exposing role controversies in the professional and personal life of an attorney. Which character – as performed by Lucas Schuneman – was your favorite? The Pastor, perhaps unordained, but certainly called of God. A timid human of good will, victimized in a diabolical scheme. Having sharpened my ‘business teeth’ in Indianapolis, I was trying to read between the lines to see if anybody I knew, including myself, were included in the story. As each character appeared and their part in the story unfolded, I felt - "I knew someone like that!". I was moved at every turn of events. I certainly recognized the neighborhoods, the shifting demographics, and the relationships between the press, clergy, and law enforcement in Indy.